The 1968 Olympic Games, held in Mexico City, are remembered for the controversial ‘Black Power’ salute by American sprinters Tommie Smith and John Carlos, the first Olympic use of the ‘Fosbury Flop’ technique in the high jump and a memorable 400m hurdles gold medal for Britain’s David Hemery. 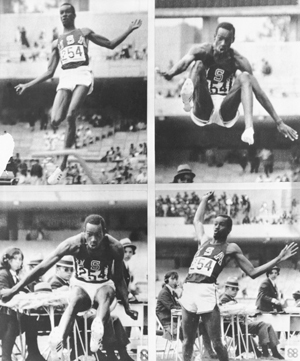 Yet one sporting triumph stands out from all the others: Bob Beamon’s record-breaking long jump, a feat that was, at the time, called ‘the leap of the century’. It was captured in one spectacular picture by British photographer Tony Duffy. In 1968, Duffy, a 31-year-old accountant with a passion for sports photography, travelled to Mexico with the aim of shooting pictures that he could sell to newspapers and magazines. However, in his forthcoming memoirs (from which he has kindly allowed AP to quote in this feature), he says that looking back, he was completely under-prepared to shoot great sports pictures. He was shooting with a Nikkormat 35mm SLR camera that had no motordrive and needed to be manually wound on after each frame. To get closer to the action – and make himself seem more professional among the other photographers in Mexico – Duffy bought a 300mm f/4.5 Nikkor-H Auto lens. On 18 October 1968, he arrived at the start of the afternoon session in the Olympic stadium to find it was only half-full. He had a ticket for a seat high up in the stadium, but as there were empty places further down he talked himself past the stewards into a seat in the front row. From this position, he had a head-on view of competitors in the men’s long jump. Commentators had predicted a close competition, with the defending champion, Britain’s Lynn Davies, keen to retain his gold medal from the 1964 Olympics. The favourite, however, was the 22-year-old American Bob Beamon, who had won 22 of the 23 previous events in which he had competed. Beamon powered along the track and attained unusual height when he jumped. ‘He hung in the air like Michael Jordan going to the basket. I remember seeing the whites of his eyes,’ Tony Duffy recalled in a 1993 interview with The Independent. Duffy took just one image of Beamon’s jump, shot at 1/500sec at f/4.5. It showed him high off the ground, above the heads of the judges in the background. Duffy’s focus is sharp on Beamon’s head and torso; the athlete’s expression seems to register amazement at just how high and far he is travelling. As he landed and made his way back down the track, Beamon was unaware of how far he had jumped. However, as the officials manually measured the distance with tape measures (he had leaped beyond their electronic measuring device), he began to realise he had achieved something special. When the distance of 8.90m appeared on the display board over 30 minutes afterwards, Beamon still didn’t realise exactly how far he had jumped as he was not used to metric measurements. When he was told that his jump was a massive 29ft 2.5in – almost 22in further than the previous world record – his legs buckled beneath him. Duffy also did not realise what he had achieved. ‘For the next two days that roll of film was in my pocket, undeveloped, while I rushed from venue to venue, savouring the excitement of my first Olympics,’ he says in his memoirs. After dropping off the film at a one-hour photo kiosk, he collected the negatives the following day to see that the shot of Beamon was in sharp focus. ‘I still had no idea that there were only a few photos of the actual record jump and mine was the best of them,’ Duffy writes. The success of this photograph led Duffy to give up his accountancy job in 1971 and the following year he founded the Allsport photo agency in partnership with a photographer friend, John Starr. It quickly became established as one of the world’s top sports photo agencies and remained in business until it was bought out by Getty in 1998 for £29.4 million. 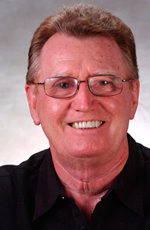 Duffy, now 75, retired and living in California after a successful career in sports photography, says that his Beamon photo has probably been reproduced in ‘close to a thousand’ different publications worldwide. The photograph transformed his life and brilliantly captures one of the great sporting achievements of the 20th century. Beamon’s world record has only been broken once (by Mike Powell, in 1991) and, 44 years on, it still remains the Olympic record. Books: Several books on sports photography featuring Tony Duffy’s pictures, including Athletics in Focus and Winning Women: The Changing Image of Women in Sport, are available at www.amazon.co.uk. 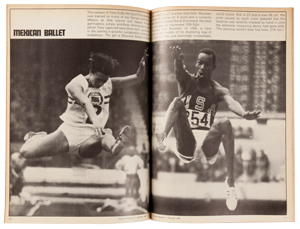 Websites: Film footage of Beamon’s record-breaking long jump can be seen on www.youtube.com (search for Bob Beamon). A selection of Tony Duffy’s more recent work can be seen on his website, www.tonyduffy.net.